Written in direct collaboration with Richard Hensley (McKesson AVP). Summary - a “fly-over” of Richard Hensley’s experience over the last three years, as he leads a lean business and product development transformation, working with business and product development leaders to “pull the quality lever” within three business units at McKesson. So how might Business and Technology peacefully co-creating look? What are some of the characteristics to key on? How does this occur in a large organization? It’s common to see an organization (the people in them) focus on building systems with as many features as possible and targeting delivery by a specific due date. Yet, often the result is missing the date while also ignoring other important goals demanded by the businesses such as high levels of product quality, development productivity, planning reliability, employee satisfaction, and customer loyalty. Retrospectives, if done after such an occurrence, surface the dissatisfaction concerning missed dates, poor quality, technical debt, and more, still frequently this pattern repeats. Does this scenario sound familiar to you? If so, why do you think it is so? In a past or maybe your current organization, I’m guessing you've heard or thought, “We need our business and technology people on the same page.”How might “being on the same page” look in your organization? Does your current software development methodology, its principles, processes, and practices, contribute effectively to this objective? Is getting on the “same page” with objectives and goals enough? Over the last three years Richard Hensley, AVP Process at McKesson Health Solutions, has worked to address these challenges within the three business units of the division he works in at McKesson. I’ve been able to catch up with him on several occasions and discuss his efforts over these years. This post is a brief “fly-over” of his experience, capturing some of the key thoughts Richard developed over this time,and shared during our conversations. 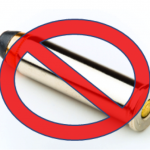 Anyone reading a blog post on getting business and technology people on the same page probably knows there is no “silver bullet” to this challenge. Chances are good you've already been a part of such an effort, right? If so, you know it is not a simple task. Or even if you saw them start out on the same page in your organization, did issues appear that caused this working relationship to return to its earlier challenging state?